Welcome to one of Maui's most coveted beach side resorts, Napali Shores! This Napili Shores condo offers amazing ocean views from both inside and out! What a treat for the whole family! This amazing property is fully equipped . 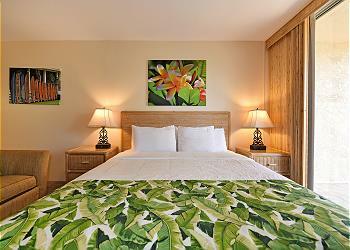 Wonderful studio at Napili Shores on the coast of beautiful West Maui and steps away from Napili Bay! Located right in Kaanapali, great resort, easy walk to Kaanapali Beach, hotels, restaurants, shopping and golf. Not a better location anywhere. Central AC and Ground Floor unit. Beautiful 6th floor studio condominium at The Mahana at Kaanapali provides everything you need for your vacation in paradise. Fully stocked, beautiful tile floors, central A/C, WiFi, stocked kitchen, and washer/dryer for your use. Great Ocean view on an incredible ocean front resort on the west Maui coast. Beautiful 7th floor studio condominium at The Mahana at Kaanapali provides everything you need for your vacation in paradise. Equipped with granite counter tops, beautiful tile floors, central A/C, WiFi, stocked kitchen, and washer/dryer for your use. This mountain view studio in the beautiful Kaleialoha Oceanfront resort is the perfect getaway and amazing location for exploring the island! Studio in an oceanfront resort with a plumeria garden view.